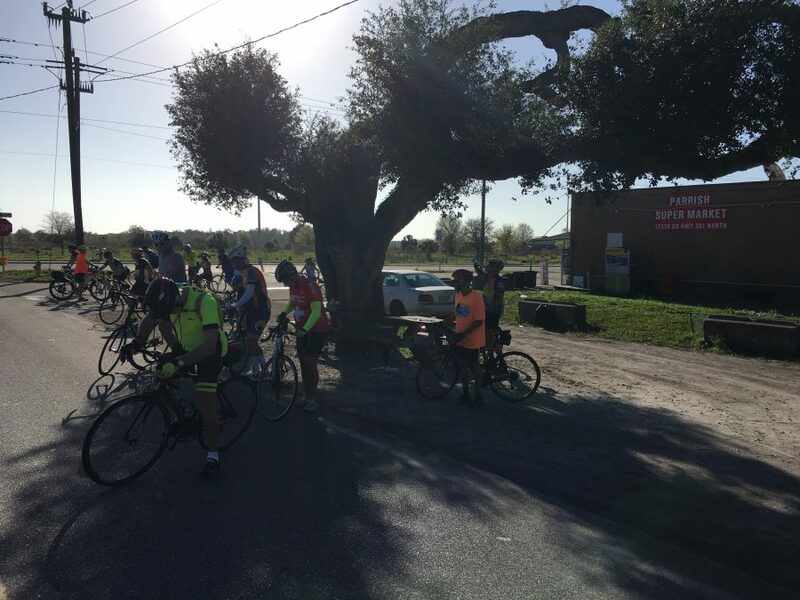 Woody’s River Roo Restaurant on the north bank of the Manatee River in Ellenton was the start for this 46 miler into Ellenton, Parrish, Terra Ceia and back. 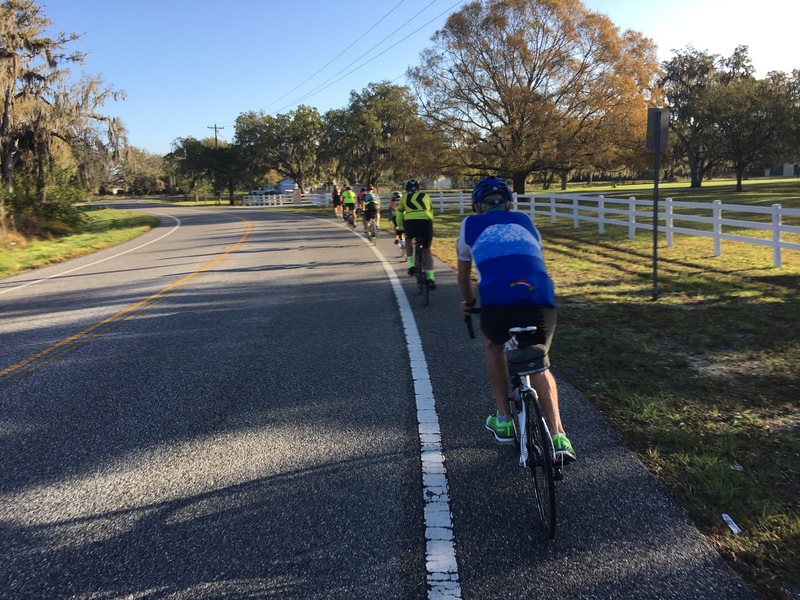 It was a beautiful day and over 20 friends riding together. Spencer-Gillette Rd. The group is made of full time and part time residents and people visiting for a couple of weeks. Jim is the best ride leader around. The group got seafood at Woody’s after the ride. 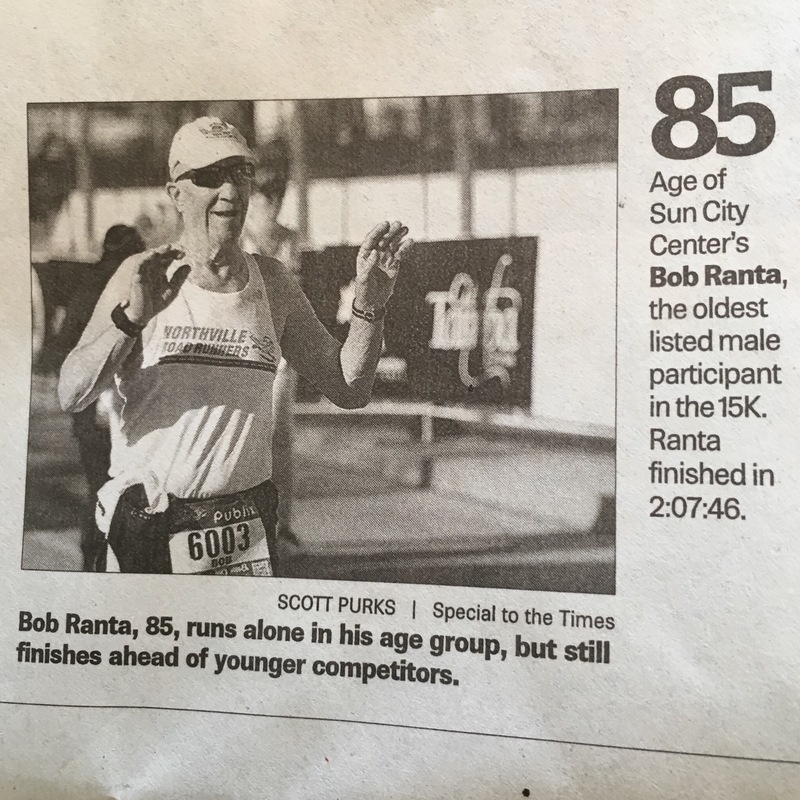 A quick shout out of heartfelt congratulations to MR. Bob Ranta, 85 year old age elite endurance athlete for being, according to the Tampa Bay Times, the oldest male competitor to finish the 15 km Gasparilla Distance Classic. Well done Bob. In your own words “I got it in”. Yes you did. 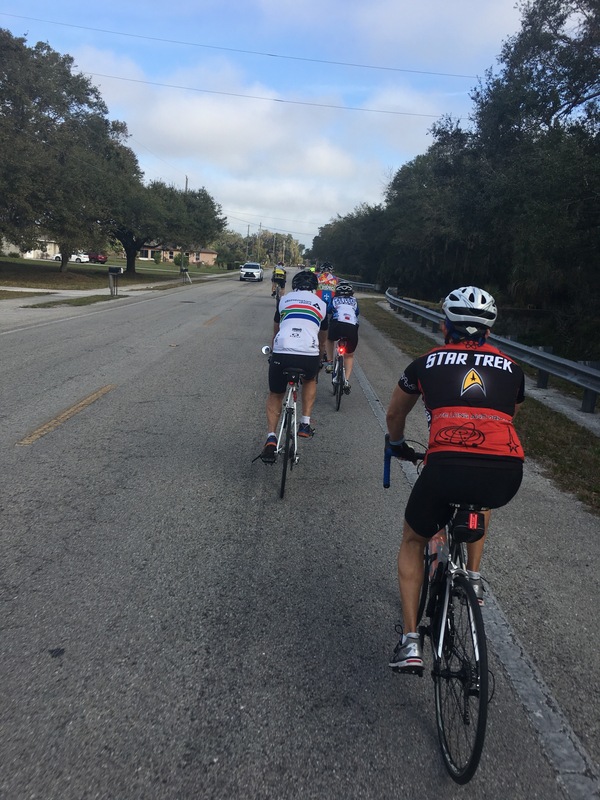 Bob has ridden his bicycle in Hillsborough and Manatee County with SMBC. A Sun City Center/ South Lyons Michigan living legend. Always check race results when Bob is in Florida. 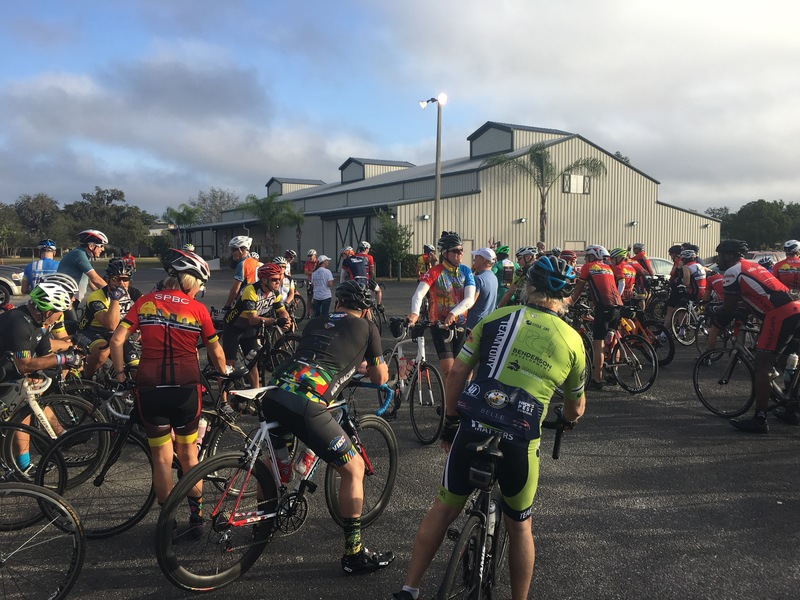 The St. Pete Bicycle Club’s annual spring classic was today in beautiful downtown Palmetto, Florida. 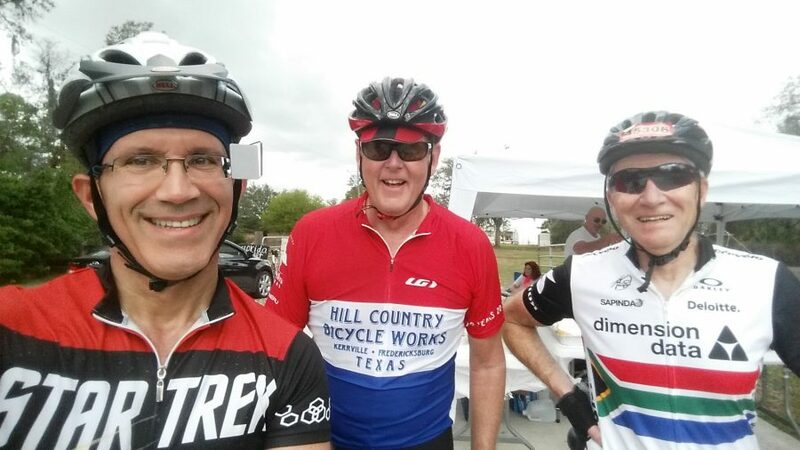 I was to ride with two great friends Tony and Juan. The century guys were out at 7 am. The small metric was at a civilized 8:30. There were some of my SMBC club members there too. 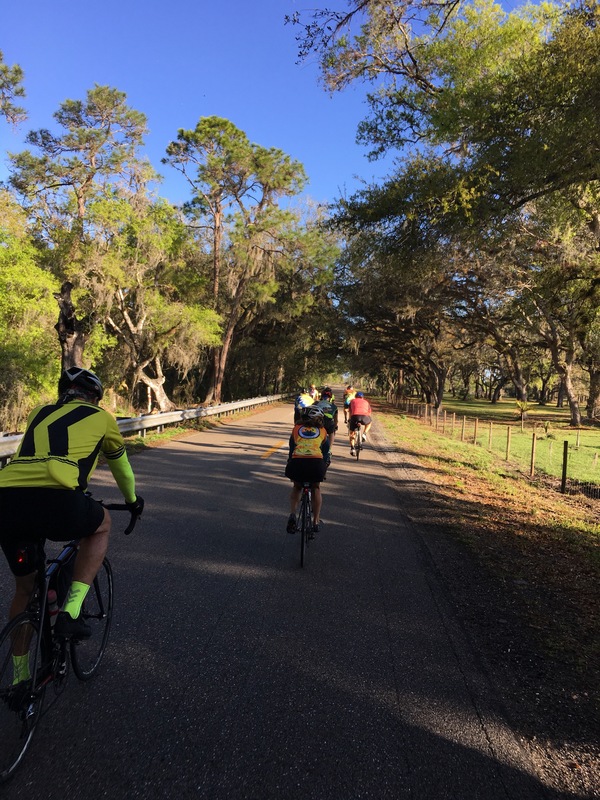 It is a local stomping ground for us and Jim Wheeler’s 14-16 ride group. The Palmetto police got us out of Palmetto safely and away we went. This pace group was together for the first 20+ miles. It was nice. One thing that spring classic never has shortage of is headwind. It would break up the bigger groups. 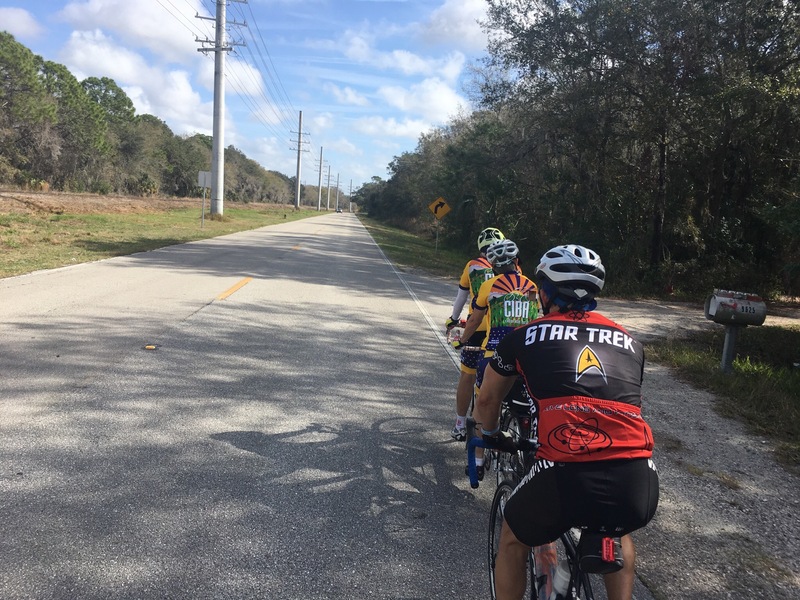 Juan in his Star Trek jersey and Tony in his South African road champ jersey. Some parts of the ride are amazing. Others not so much with all the new development. We picked up a tandem and they were nice. It got pretty warm later and it was still windy but the slow cooked chicken in mojo and pork with yellow rice and black beans, plaintains and bread was right on time. 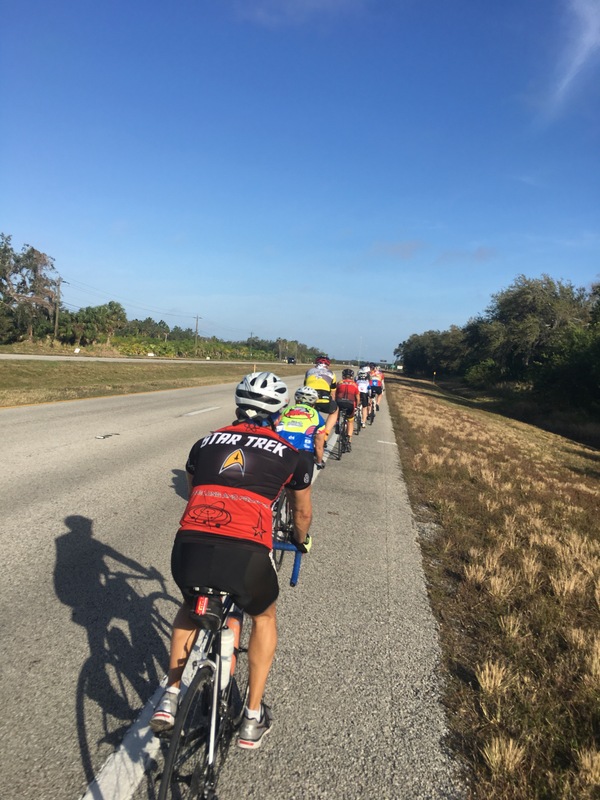 Tip of the hat to St. Pete bike club. Great day.